An ambulance has been targeted by a thief who struck on Christmas Eve. As Londoners prepare to party in the capital on New Year’s Eve, the staff of the London Ambulance Service are bracing themselves for their busiest night of the year. The London Ambulance Service is hailing the trial of an alternative response vehicle – or ‘Booze Bus’ – in Camden as a success. 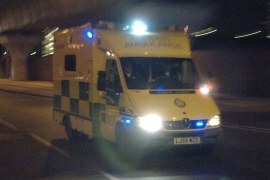 Londoners are being urged to use their ambulance service wisely after the busiest week in its history. The London Ambulance Service has signed a contract for a new system to handle 999 emergency calls and send ambulance staff and vehicles to patients. The London Ambulance Service has called for more respect for staff after a medic was physically assaulted by a patient he was trying to treat. The London Ambulance Service is gearing up for a busy Christmas in Croydon. A video showing the impact of alcohol-related calls on the capital’s ambulance staff has been released on the internet as new figures reveal that the problem is still on the rise. A London Ambulance Service 999 call-taker has been named a finalist for this year’s NHS Champions awards. Romford’s ambulance operations manager has been named a finalist for this year’s NHS Champions awards. 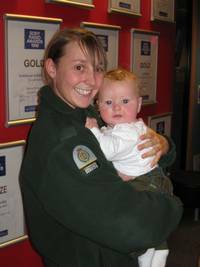 A paramedic who saved the life of a seriously premature baby born in his mother’s living room in Dagenham has been named a finalist for this year’s NHS Champions awards.